With a thickness of just 7.5mm and weighing in at only 469g, it will seem like the iPad Air is barely there as you’re using it. The display borders are also thinner than the previous versions of the iPad, so all you will see is your display without any wasted space on the edges. The A7 chip in the iPad Air was designed with 64-bit architecture, delivering fantastic performance – with CPU and graphics performance up to twice as fast as the previous version – without sacrificing battery life. With the iPad Air you will have incredible power and performance wherever you go. 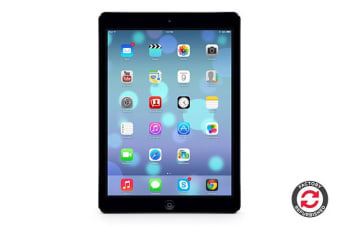 The iPad Air uses two wireless antennas instead of one and MIMO technology, enabling the iPad to provide super fast Wi-Fi performance – up to twice as fast as its predecessor.